I’ve been eager for Nob Hill’s Slice Parlor to open ever since I saw the sign, which promises a “Tap House” as part of the attraction. The restaurant opened quietly this weekend, but unfortunately I didn’t realize it until I had already eaten lunch at Flying Star. 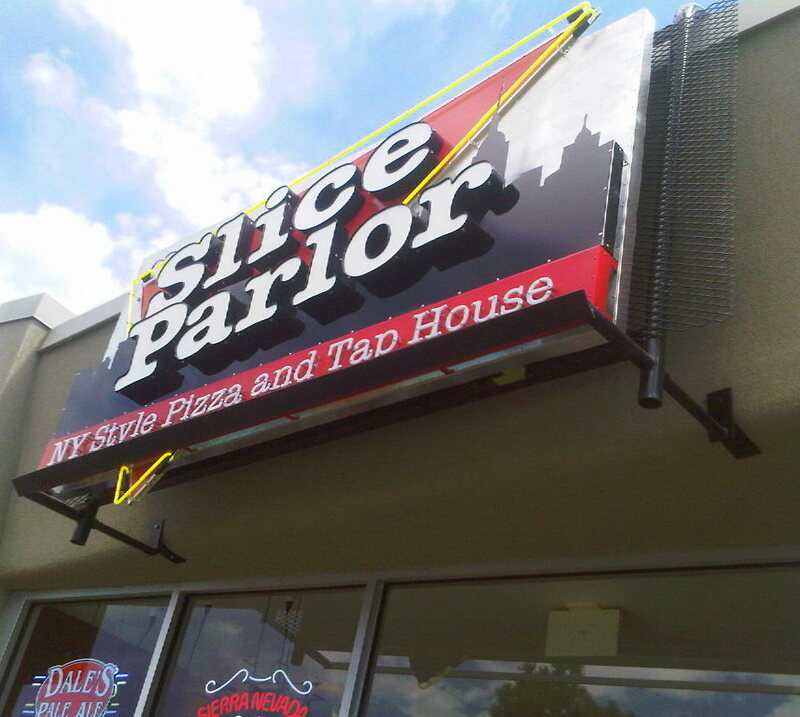 Slice Parlor is located almost directly across the street from the venerable Il Vicino, so it will be interesting to see how the businesses affect each other. Slice Parlor does offer the convenience of an individual slice of pizza, though they don’t offer salads or pasta as Il Vicino does. A slice of pizza goes for $3.25, with a choice of 17 toppings costing $.50 each. You can also get a whole pizza, either an 18” for $13.89 or a 12” gluten-free version for $6.89. I wanted to get a photo of the pizza, but none of the customers had food when I was there and I wasn't going to stand around waiting to see someone else's pizza. Besides, as much as I like to try a new pizza place, the "tap house" component of Slice Parlor is what I was interested to see. 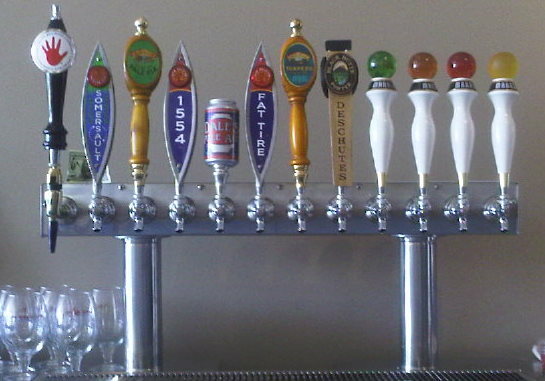 The draft list consists of twelve beers, with Marble taking of a third of the taps. 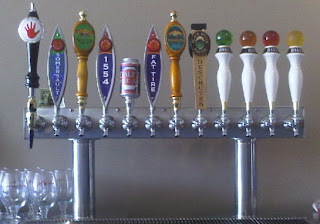 Three New Belgium beers along with offerings from Deschutes, Oskar Blues, Sierra Nevada, and Left Hand round out the list. A draft will run you $4.50, though they have a special featuring a different draft daily for $3.50. Another special combines a slice of pizza and your choice of beer for $6.49. Slice Parlor may not be the place I’d stop into just to drink a beer, but I don’t think that is what they are going for anyway- much like bRgR, the new restaurant I wrote about the other day, Slice Parlor is a food-first establishment that offers a quality list of craft beer to complement the food. I hope future restaurants in the area follow their lead.